Charlie and Chocolate factory was one of my favourite childhood stories and I have watched the original film many times. So, I was thrilled to get tickets to finally see the show and it certainly didn't disappoint. The first half is all about Charlie (Ryan Yeates played Charlie in the production I saw) and his search for a golden ticket plus the other children. Like the book each child has their own foibles but as this is a musical each one has their own song and dance introduction. Augustus Gloop (Jake Fehily), who has an awesome costume to make him look fat, of course loves food, particularly meat. 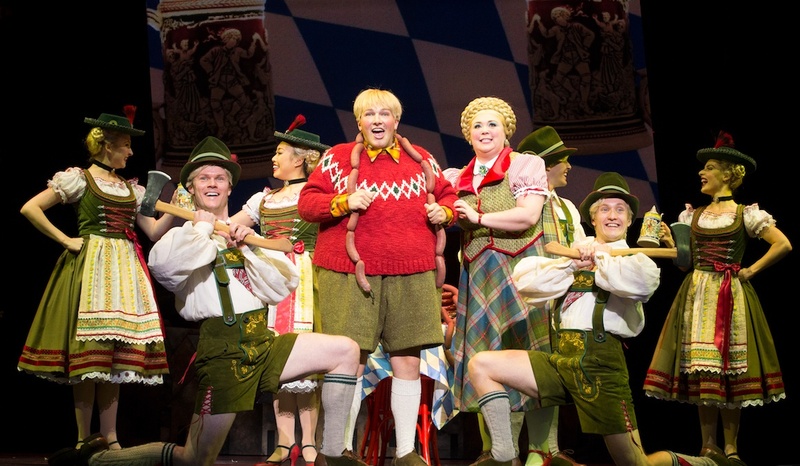 He dances with his mother, Mrs Gloop (Octavia Barron Martin) and a chorus of people wearing lederhosen costumes. It is very comical and full of energy. It was a great introduction to the first of the winners. Then we meet Mr Salt (Stephen Anderson) and his daughter Veruca Salt (Karina Russell). 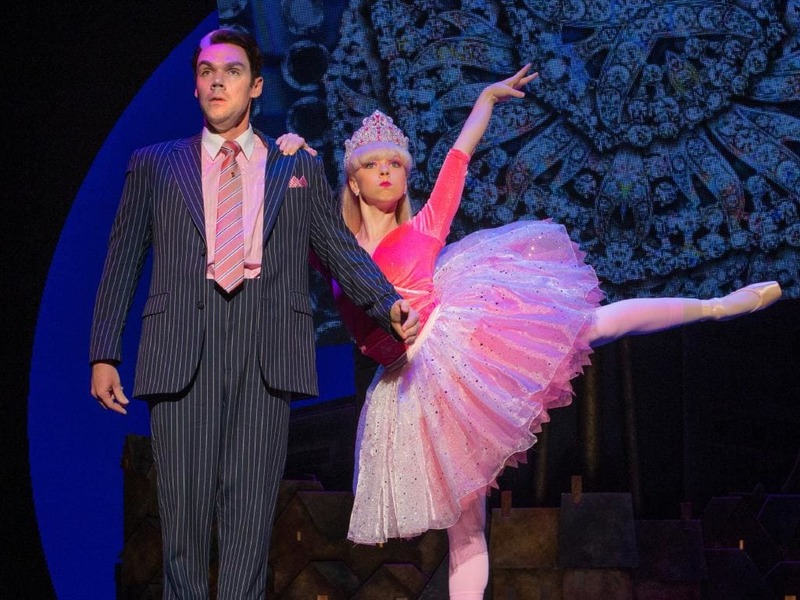 Veruca is a ballerina and a very talented one as we discover in the second half when she dances with the squirrels. Next we meet the not so charming Violet Beauregard (Jamye-Lee Hanekom) and her father Mr Beauregard (Madison Mckoy). Voilet is the queen of pop. 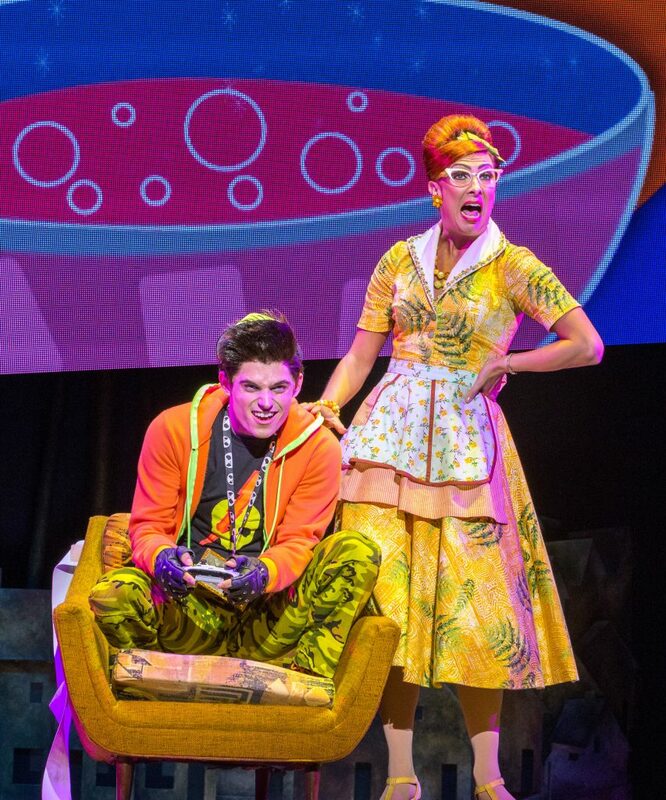 Then finally we meet the last of the children Mike Teavee (Harrison Riley) and his mother, Mrs Teavee (Jayde Westaby). Mrs Teavee has more of a character in the musical than I remember from the book. Being a single mum, bringing up a dysfunctional teenager she does like a bit to drink. Mike is a little different too, bringing him into the 21 century he is a techno kid. Of course we meet the grandparents and Mrs Bucket (Lucy Maunder). We also meet Willy Wonka (Paul Slade Smith) who has disguised himself as a shopkeeper. This part of the story is slightly different from the book too. 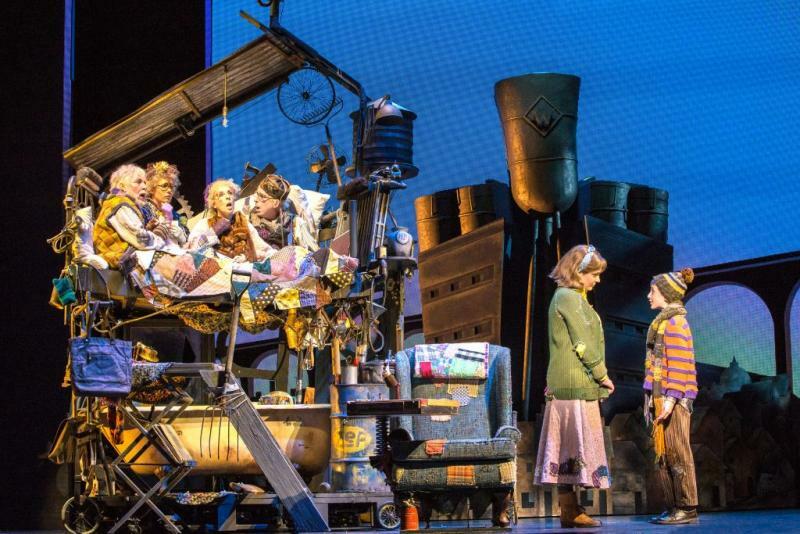 In the second half it is all about the children going to the factory and each child meeting their untimely demise. The second half is more technically difficult as they try to replicate the insides of the factory and what happens. But they use a variety of techniques to emulate the magic. The only set that I thought didn't have the wow factor it should have was the scene with the chocolate fountain. The flowers etc didn't look edible or special and I am not sure what the giraffe was doing there? But this rest of the staging I thought was good particularly Charlie's house in the first half. Of course most people were waiting to see the Oompa Loompas. They were very good. The ensemble used their head and the Oompa Loompas bodies were puppets. The timing and complexity of their routines were amazing and must have taken many hours of rehearsals to get it right. The other scene I really enjoyed in the second half was Veruca and the Squirrels. The squirrels were just a little scary and how they get rid of Veruca at the end of the dance routine I didn't see coming at all. The overall costume design for the show was outstanding. Each one was very detailed and just by looking at the characters you could predict what they would be like. I enjoyed the show and by the look on the smiling faces as we left the theatre so did the rest of the audience, particularly the children. 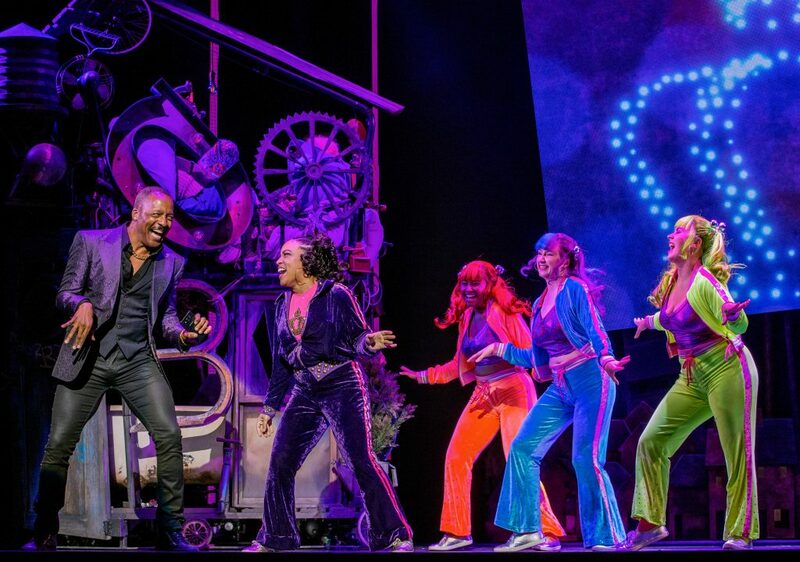 Charlie and the Chocolate Factory is playing at the Capitol Theatre until 23 June.